All too often when we do some cleaning we tend to pay attention to the bathroom tiles, the carpets, the furniture and somehow neglect the walls. Needless to say they also need attention every now and then. Sometimes people don’t clean the walls at home just because they are afraid of possible damage of the paint or the wallpaper. If done right, the wall cleaning can make your home look cleaner and nicer. There are some general tips you need to follow in order to prevent any possible scratches or stains. First of all, beware of the electric wires running along the walls, you will use liquids so make sure there isn’t even a drop on them. Get acquainted with the type of the paint and respectively the proper treatment. If you have to deal with wallpapers, make sure they are waterproof. If you wish so you can try to clean the walls using the following detergent: mix some dishwashing liquid and some white vinegar in a container, filled with warm water and then take a sponge, apply to the stain and leave it for a couple of minutes. Dust the walls before you start washing them and be careful not to make scratches. If you skip dusting and removing the loose dirt you will end up with walls that are in a worse condition than the initial one. 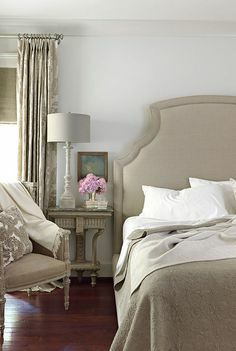 if you have to clean higher up, use a ladder or a broom that has long handle and what is more important cover all the furnitures with sheets otherwise you risk cleaning not only walls but upholstery as well. As soon as you perform those activities, you can start the real wall cleaning procedure. If your walls are covered with latex layer all you need is a sponge, two buckets of warm water and all purpose cleaner (you can also use the homemade detergent, mentioned above). One of the buckets of water is for removing the dirt, the other one for rinsing. Gently rub the wall and leave the detergent’s ingredients take effect for a few minutes, then rinse and wipe it using a dry soft cloth. Same thing applies to the oil-based paint. There are particular types of wallpapers that accumulate enormous quantities of dust. Use a wet cloth and wipe the dirt down. For stubborn stains or fingerprints you can soak a sponge into alcohol. Magic sponges are a good option too. If the kids have decided that the walls are canvases, the magic sponge is an excellent solution. It is also environmental friendly and uses pure water only. Greasy stains can be really stubborn and if you find them on a non-washable wallpaper the situation gets really serious. There is no sure method for removing this kind of stains but you lose nothing if you apply the hot iron to the wall and remove the dirt after that. Another important rule for proper washing of the walls is to remove the spots and stains prior to the entire cleaning. Remember always wash the walls from the bottom to the top and side to side. Don’t stop the procedure in the middle because the chances to leave watermarks on the wall are really high. Author Bio: July Minor has a lot of knowledge about cleaning. She works as a professional cleaner for http://www.endoftenancycleaners.net/nw3-belsize-park/and she loves to write about her work.